Time For a Change, Feat. 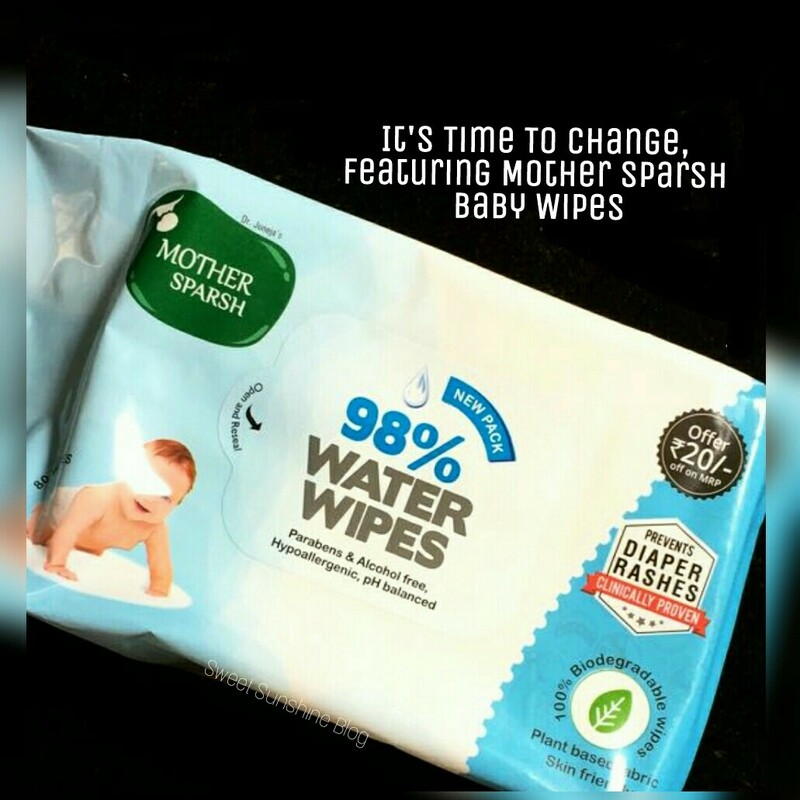 Mother Sparsh Baby Wipes ! Our Little Ones are growing up too fast. We have beamed with pride every time he/she crossed a new milestone, and it’s all thanks to the head start that we provided to them to achieve Important milestones in Intellectual, Motor, Communication and Emotional/Social areas. We Mother’s are often get worried when we see our little ones facing any sort of trouble. For Example, Say It When they develop diaper rashes on his or her delicate skin. But you know what makes us really helpless sometimes are those “Continuous Cries” of our tiny humans , during day and night, just because of the Hectic word Rashes. The Pain We parents & our tiny ones go through just because of diaper rashes is truely unbeatable sometimes. But don’t panic. It’s Time For A Change now. Just don’t change the diapers you use, Change your ordinary wipes which are made of harmful Polyester fabric and often treated with plenty of chemicals. Most of the ordinary baby wipes available in the market are made of Such Polyester Fabric which can cause harsh rashes to our baby’s delicate skin, further can causes Harmful skin diseases. To overcome such situations, we always rely upon India’s First 98% water based baby wipes by Mother Sparsh. In My Last Blog, I performed a flame test On Mother Sparsh Baby Wipes Versus Ordinary Baby Wipes which had proved that these wipes are the purest and safest for our baby’s delicate skin. Do not let your little ones suffer from those painful diaper rashes. Rather prevent your baby by using Clinically Proven Mother Sparsh “As Pure As Cotton & Water ” Baby Wipes. Have A Wonderful Festive Season Ahead ? Bacche n parents lucky hain ki itne acche prod8n itni detailed reviews hume buy karne k pehle mil jaati hai ? ?